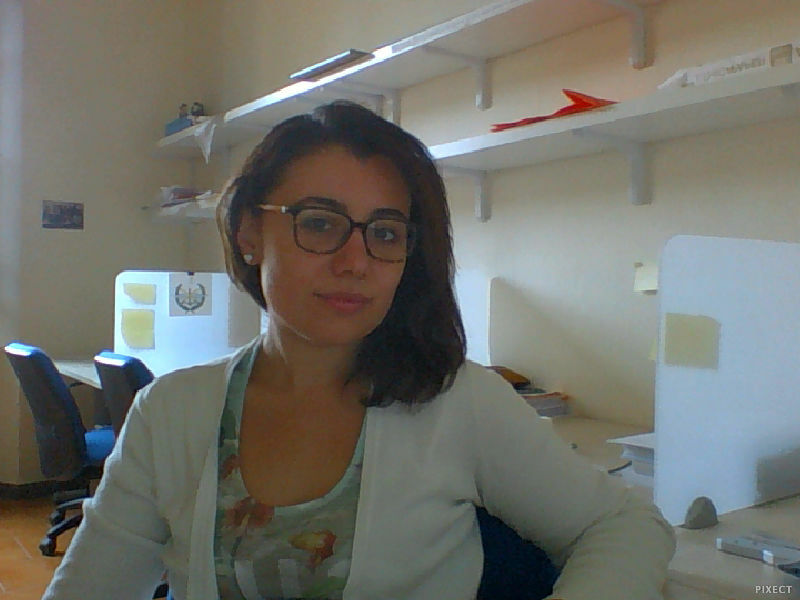 I am a Biophysical Sciences Ph.D. student at Scuola Normale Superiore, Pisa, Italy. I attended my master degree at La Sapienza University in Nanotechnology Engineering. My master thesis topic is mechanotransduction: I fabricated graphene-functionalized scaffolds for peripheral nerve regeneration. My Ph.D project aims to fabricate and characterize FDA-approved nanostructured polymeric scaffolds using soft lithography techniques, in particular NanoImprint Lithography (NIL) that is the best method to produce a high amount of high-fidelity replicas in short time, being this necessary to study the coupling of neural cells with selected nanotopographies in vitro. The patterns that I fabricate are micro and nanogratings (from 20µm down to 200nm of periodicity) which direct the growth of neurons and glial cells, following the main direction of the pattern. Based on the use of polymeric molds instead of silicon ones, I used PFPE replicas as molds for the NIL process to replicate the patterns on other polymeric (COC) substrates. Submicron features were successfully transferred into COC films, demonstrating the suitability of PFPE for realizing molds for NIL or hot embossing. 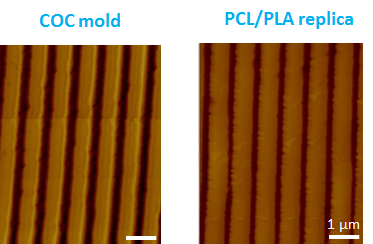 I have also optimized a hot embossing process for PCL/PLA blend through the use of a polymeric (COC) mold: the grating period I could successfully replicate ranged from 4µm down to 1µm. We are starting to test these new scaffolds with primary Schwann cells.